Roach Gel Dupont Advion. DuPont gel. 100% original. USA. 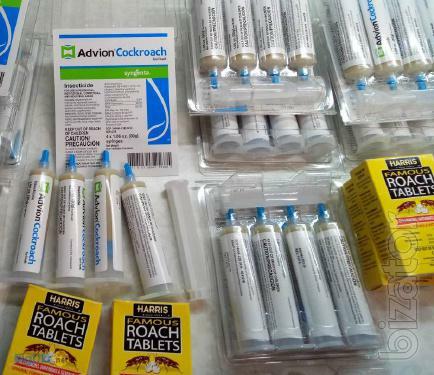 Dupont Advion Cocroach Gel DuPont gel tool for professional control of cockroaches. Gel which really takes all kinds cockroaches. The most famous and effective remedy for today created by a world famous Dupont Corporation. The tool acts as a decoy, point spread the gel on the surface, the cockroaches first eat this tool contagious and infect those who have not yet had time to eat this miracle gel. Suitable for both conventional apartments and for canteens, cafes, restaurants. After application of the gel cockroaches disappear for a long time, Just a few days You are locate and track unwanted guests. Gel is safe for Pets and children. Professionally engaged in the destruction cockroaches. Using it myself during the treatments.